If you live in the UK we sell direct to you, please contact us with your requirements. There are also options to try or hire a Trike before you buy. Covering the following states: Tennessee, Kentucky, North Carolina, South Carolina, Georgia, and Florida. Illinois, Ohio, Indiana, Michigan, Wisconsin, Minnesota, Iowa. Our South East distributor covering Kent and offering demonstrations, sales, after sales, services and parts of our Mountain Trike products. Enquiries about our all-terrain wheelchair products – offering demonstrations, hire and after sales. Our South West distributor covering Devon and Somerset offering demonstrations, sales, after sales, services and parts of our Mountain Trike products. 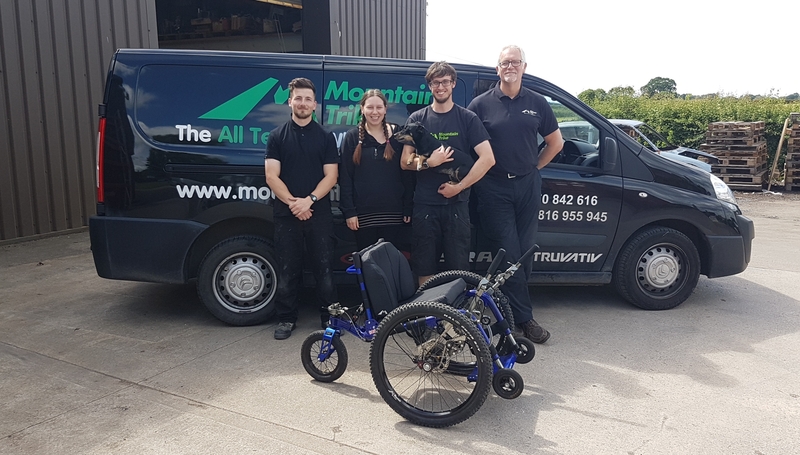 Craig and the team at Experience Community have been long term ambassadors for the Mountain Trike products and are our approved distributor of our products for the Yorkshire area - offering customer demonstrations, sales, after sales and can service the Mountain Trike products. Specialists in the supply and distribution of medical, homecare and mobility products. For Mountain Trike sales in Norway please contact our Norwegian distributor located in Oslo. Occupational Therapist and Director of Total Rehab Plus. Contact Greg to arrange a demonstration of the Mountain Trike or to find out the events he'll be attending offering demos with the Mountain Trike. Total Rehab Plus (+), 179 Thames Street, Morrinsville 3300, New Zealand.